It would seem that the best place to begin is at the beginning. Problem is there’s no clear path to how I ended up an ex-teacher and current food writer who is married to an ex-lawyer and current med student. 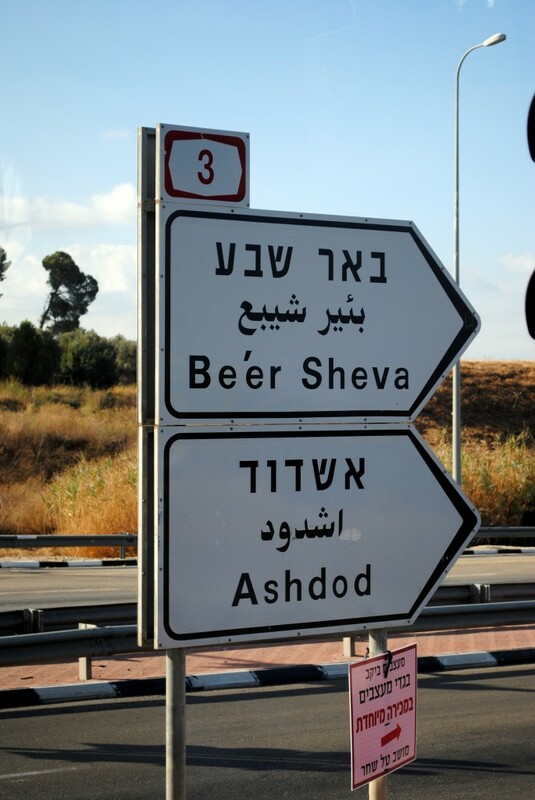 There certainly is not a clear path to how we ended up living in Be’er Sheva, Israel. But here we are, so I guess I’ll start with that. I have lived in Israel for exactly five days now. Evan has been here for two months. That was two months of separation while I finished up my job as a staff writer for an online culinary magazine. A dream job, in theory at least. But for us two native New Yorkers who have only ever lived in the American Northeast it was time to live somewhere else. At least for a while. There are two ways that I connect to a new place, dive headfirst into the culture and absorb what there is to be absorbed: by writing and eating. So here, then, is my blog. I am hoping to document what I eat, cook, taste, see, and smell and in the process come to process my experiences. This blog is a way to give me discipline and a purpose for writing, to keep my friends and family (some as far as 7,500 miles away) feeling close, and to digest all that I will be taking in. And so here it is, my game plan for the next four years in Israel: cook, eat, learn Hebrew, travel, and write. Maybe someone else will be interested in reading this. But most of all I’m doing it for me. I just discovered your website today and am beyond thrilled to have this precious window into your experience along with Evan’s in Israel. I will be one of your most faithful followers so thank you for taking me along on your journey!!!!!! With loads of love and awe.